We are glad to announce our next webinar scheduled on Thursday, January 31 (11 a.m. Eastern). 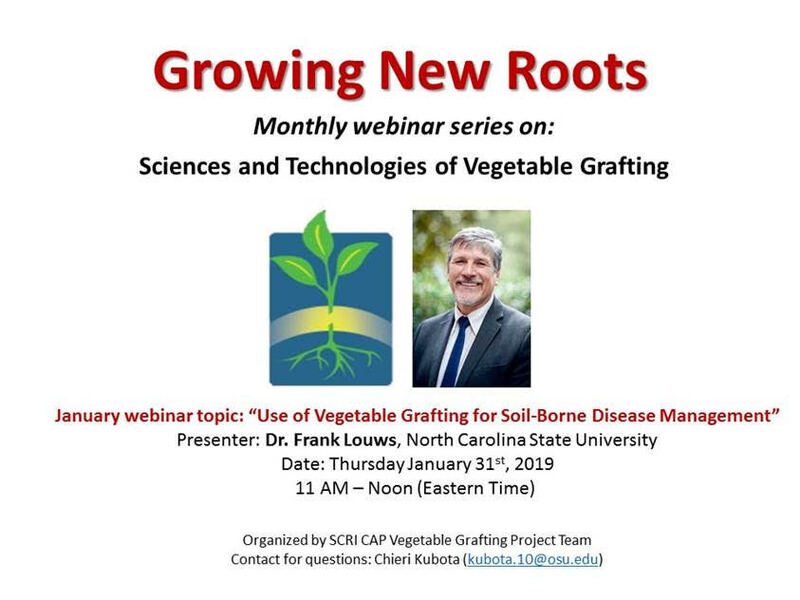 This month’s topic is ‘Use of Vegetable Grafting for Soil-Borne Disease Management,’ presented by Dr. Frank Louws at North Carolina State University. Please share this information with those who may be interested. The webinar will be recorded for later access. Sign up online! We will send the Zoom connection info to those who sign up.